Gone are the festive decorations, colorful lights, and high calorie comfort foods. The house has returned to its usual state and our schedule isn’t quite as full as it was just a week ago. It sounds a little depressing and sad when I put it like that, but for me it’s a good thing. I know everyone has the similar expectations and demands on themselves during the holidays to make sure they get as much done during this magical time of year as they possibly can. After all, it only comes once a year so it’s tempting to pack as much into as short of span as possible. But for us, not only do we have the usual holiday and life demands it’s also birthday season. Between December 13 and January 1 we have an overwhelming number of birthdays. Just in our house, we have Cakes’ birthday three days before Christmas and my husband’s birthday four days after. But then, my husband also shares his birthday with two other family members, his dad’s birthday is three days after his, and then there’s a long list during this short time frame including friends, coworkers, an aunt, cousins, and a nephew. It’s a big month and super busy! Don’t get me wrong – I love the holidays! I really do. But it is so important for me to take a break and decompress after this exhaustingly fun period. While packing up the decorations, I got the idea to use up the last remaining candy canes to make a Mint Chocolate Sugar Scrub. This is a super simple recipe and only requires 4 ingredients. Mint chocolate is such a great fragrance and reminds me of warm cookies or hot chocolate! 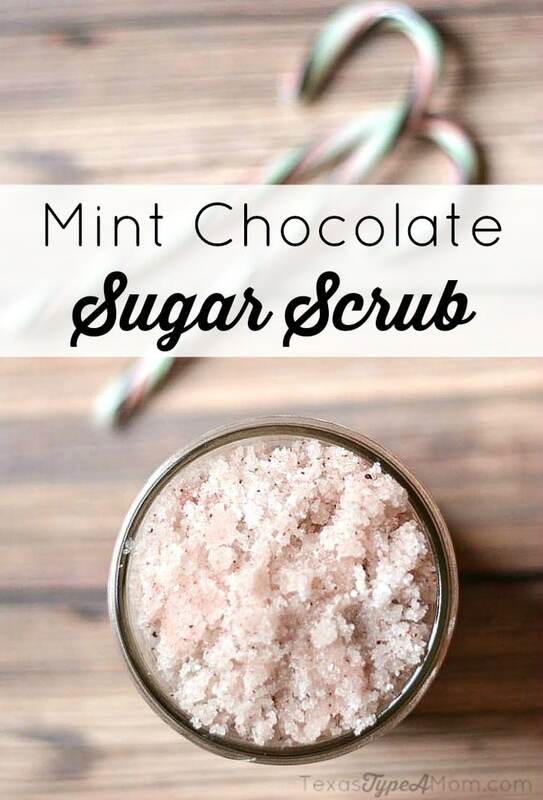 This would not only make a great scrub for yourself but could be given for a winter birthday or Valentine’s gift! Place candy canes into a food chopper and pulverize into a fine dust. Mix candy canes and sugar together in a small bowl. Add coconut and peppermint oil to the sugar mix and stir until the consistency is moist throughout. Transfer sugar scrub to a 12 ounce canning jar or other jar of your choice. 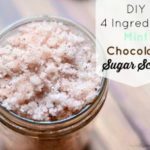 After you make this Mint Chocolate Sugar Scrub, try out these recipes for a 3 Ingredient Peppermint Sugar Scrub, Vanilla Lavender Sugar Scrub, and Homemade Mandarin Sugar Scrub ! What scent reminds you of the holidays or winter? 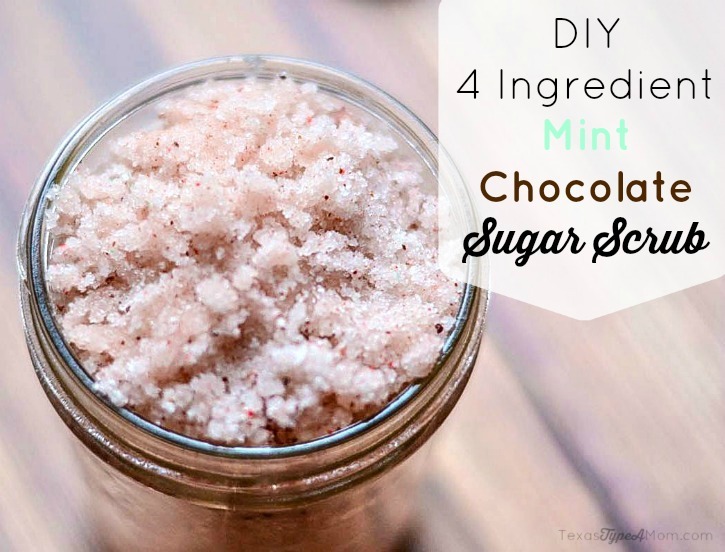 Mint Chocolate Sugar Scrub? Oh my goodness this is heaven! I can just imagine the feel.